As student loan debt throughout the country continues to climb, Washington state lawmakers are looking to establish more protections from predatory loans for college students. A bill known as the Student Loan Bill of Rights passed out of the Legislature last week and is awaiting Gov. Jay Inslee's signature. If signed into law, the bill would establish a student-loan advocate to review and address complaints filed by borrowers. The bill would also require most loan servicers to be licensed by the state and would establish rules that ensure payments are processed in a timely manner. The bill was requested by the Washington State Attorney General's Office following a report that revealed that, in 2016, more than 800,000 Washingtonians were working to pay down collectively about $24 billion in student loans. Washington state became the first in the nation Monday to set up its own net-neutrality law after the Federal Communications Commission's rules were repealed last December. The Obama-era FCC rules were designed to prevent internet service providers, such as Comcast or AT&T, from controlling what people view on the internet. Under the new law signed by Gov. Jay Inslee this week, internet providers in Washington cannot throttle internet speeds or restrict access to legal content. The new law also requires service providers to disclose information on network management practices, performance and commercial terms. "We've seen the power of the open internet," Inslee says during the signing ceremony. "It allows a student in Washington to connect with researchers all around the world, or a small business to compete with large businesses in the global marketplace. It's allowed the free flow of information and ideas in one of the greatest demonstrations of free speech in history." Washington's new law could face a legal challenge in court, as the new FCC rules prohibit states from erecting their own regulations. Gov. Jay Inslee vetoed a bill that would have exempted the state legislators from the Public Records Act. Without a floor debate or public hearings, state lawmakers quickly approved a bill that would have kept existing records secret and made only some records public going forward, such as correspondence with lobbyists and final disciplinary reports. However, emails between legislators and constituents, as well as among legislators, would be considered private under the bill. The measure also sought to filter appeals for denials of public records requests through the committees in the House and the Senate, rather than a court. Those decisions could not be appealed to a court. The fast-track bill came after a Thurston County Superior Court judge ruled that the Legislature had for years violated the Public Records Act by exempting information local governments and state agencies regularly release. Information such as lawmakers' emails, work calendars and complaints by staffers are considered public records, according to the ruling. 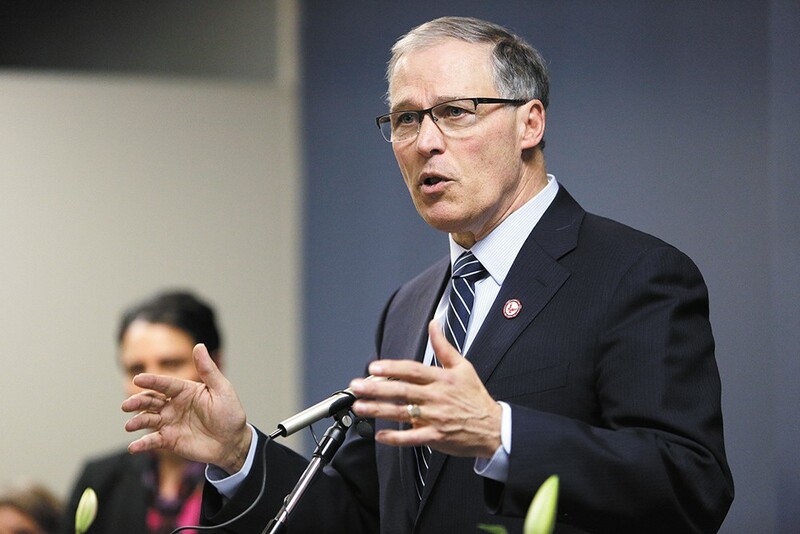 Inslee's veto last week came with an agreement between lawmakers and a cohort of media organizations involved in the Thurston County case to work together to craft a more transparent public-records law. The original print version of this article was headlined "The Busy Season"